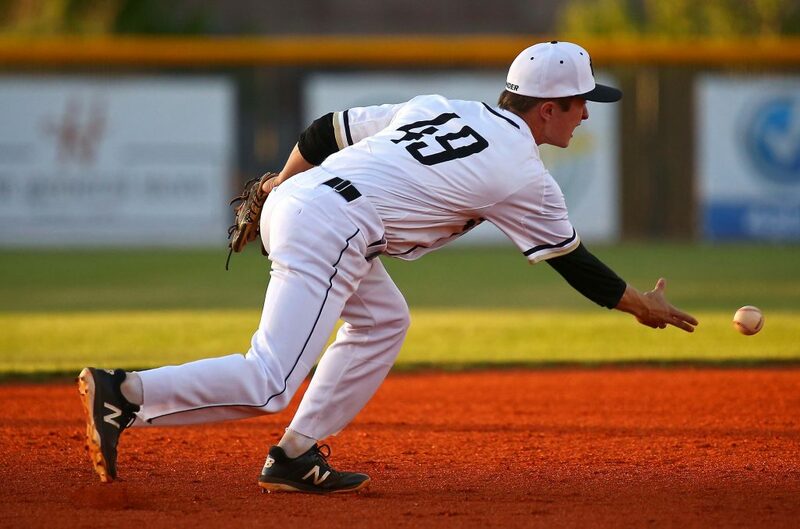 ST. GEORGE – Everything was set up for an ultimate series next week between unbeaten Dixie and perfect Snow Canyon – but someone forgot to tell Desert Hills. 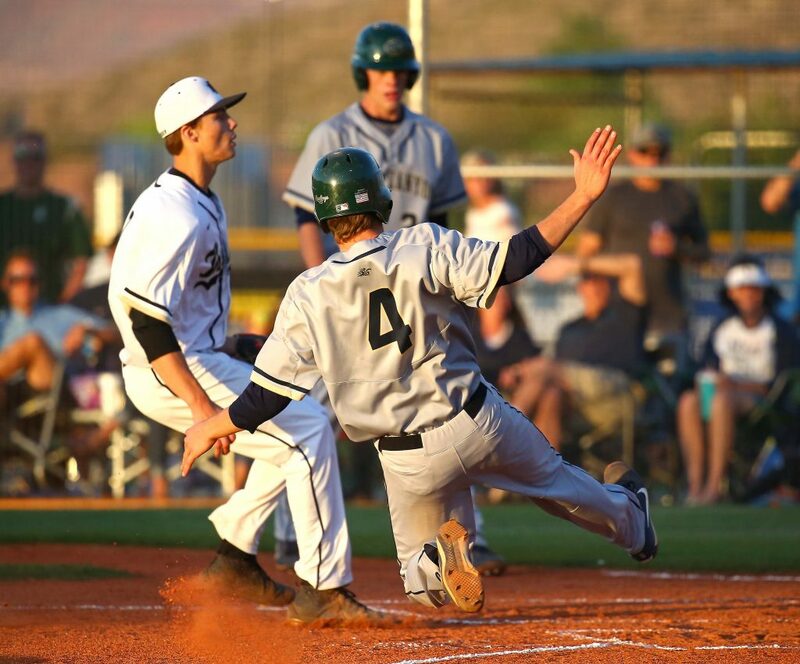 The Thunder rallied from down 3-0 to beat the Warriors 4-3 Friday night at Thunder Field, taking a little bit of luster off that series next week between the Flyers and Snow Canyon. The win also clinches third place for Desert Hills, which has a region bye next week. Jaxton Reber lined a double to the gap in the bottom of the eighth that scored Bronson Andrus and ended the game for the victorious Thunder. The game-winning hit was possible thanks to a pretty impressive comeback by Desert Hills after it had fallen behind 3-0. The Warriors led 1-0 after Stephen Gubler had scored on a wild pitch in the top of the second and then the lead grew to 3-0 in the top of the third when Austin Deming tripled down the first-base line to score Seth Smith and then scored himself on a sacrifice fly by Zack Nowatzke. 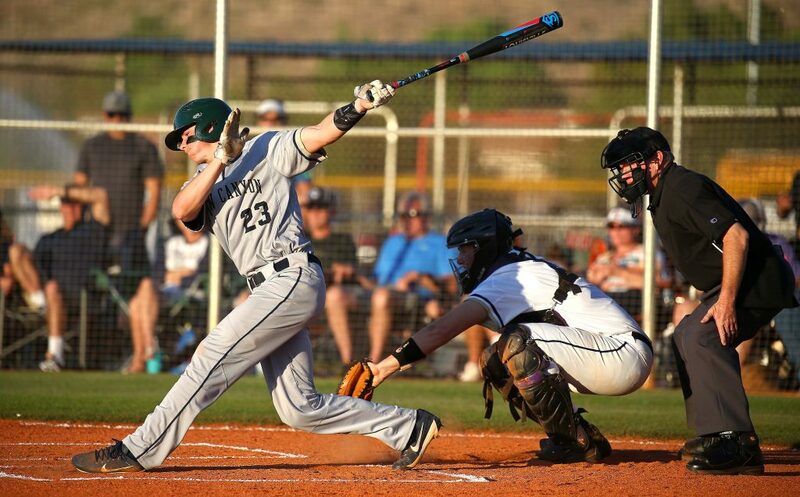 Drew Thorpe, who threw a no hitter a week ago for the Thunder against Pine View, pretty much shut down the powerful Snow Canyon lineup the rest of the way. Thorpe came into the game with an earned run average of 1.20, but his counterpart for Snow Canyon was Deming, whose ERA coming in was 0.35. With those kinds of numbers, every hit and every play was critical. 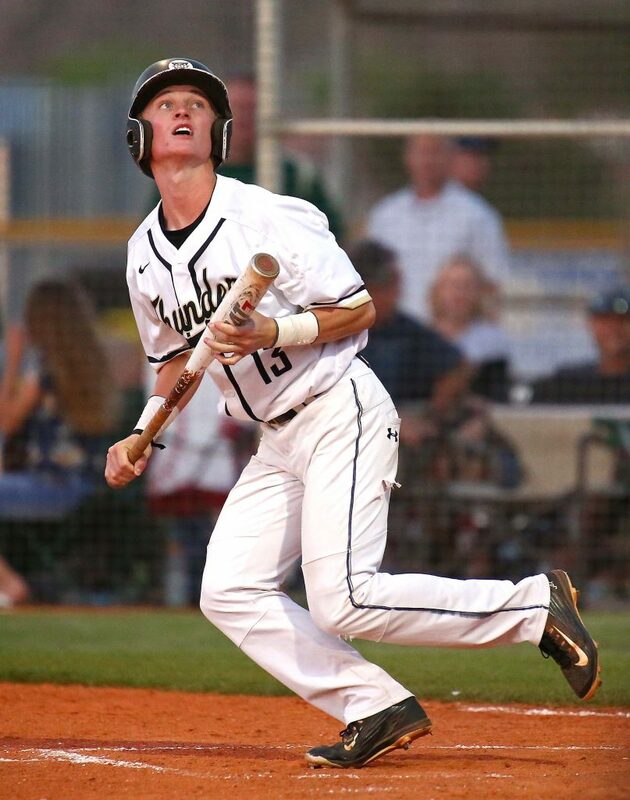 In the bottom of the third, Desert Hills got a hard hit liner to right field from Landon Levine. 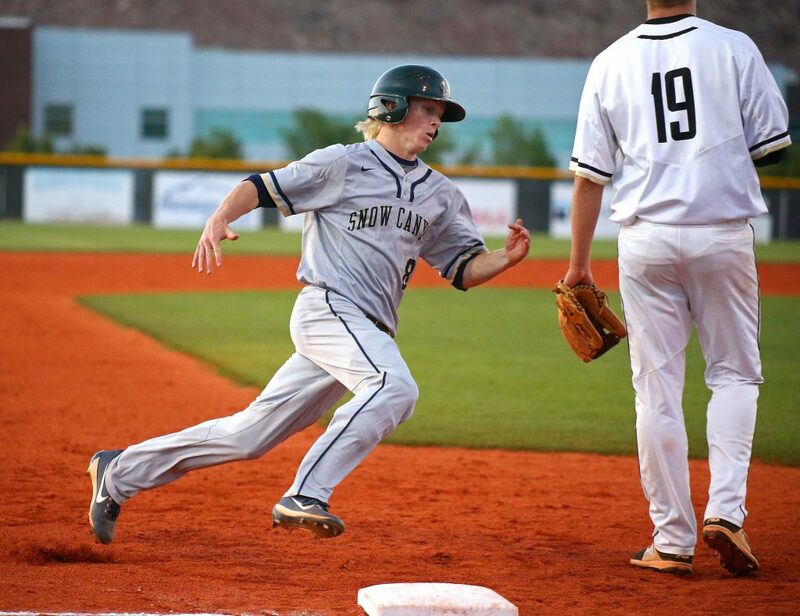 The screaming liner went off the top of the glove of Snow Canyon’s right fielder and was scored a triple by the home team and a three-base error by the visitors. Either way, Levine was at third base with no outs. The next batter, Bo Barben, grounded out to second, but the ball was deep enough to get Levine home and make it 3-1. Later in the inning, Thorpe walked and speed-up runner Bryker Hurdsman stole second. On the steal try, the ball caromed into center field and Hurdsman scurried to third base. One wild pitch later and Hurdsman crossed the plate to make it 3-2. The score stayed that way until the bottom of the sixth, when Reber came to the plate with runners at the corners and one out. Reber didn’t miss on a bunt attempt this time, laying it perfectly down the right side to score Hurdsman from third on the safety squeeze play. Both teams got runners in scoring position in the seventh, but neither could break through against Thorpe or Deming. The bullpens took over in extra innings. 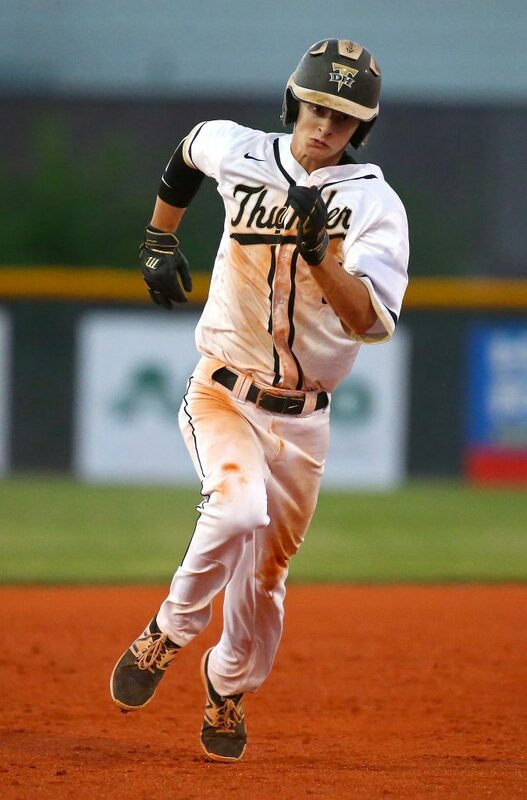 Dallen Turner came in for Desert Hills and allowed a double, a hit batsman and a walk to load the bases with two outs in the eighth. But he got a groundout to third to end the threat and send it to the bottom of the eighth. Andrus then led off with an infield single that Deming (who had moved to shortstop) gloved but couldn’t make a play on. Jed Jensen then committed a balk to move Andrus to second base. Reber tried twice to get the bat on a bunt and move Andrus to third, but couldn’t get it done. So, with the count 1-2, Reber got squared around on a Jensen curveball and drove it to the gap in right-center. Andrus scored easily and the Thunder celebration began. The win improves the Thunder’s record to 14-6 overall and 7-5 in region play. 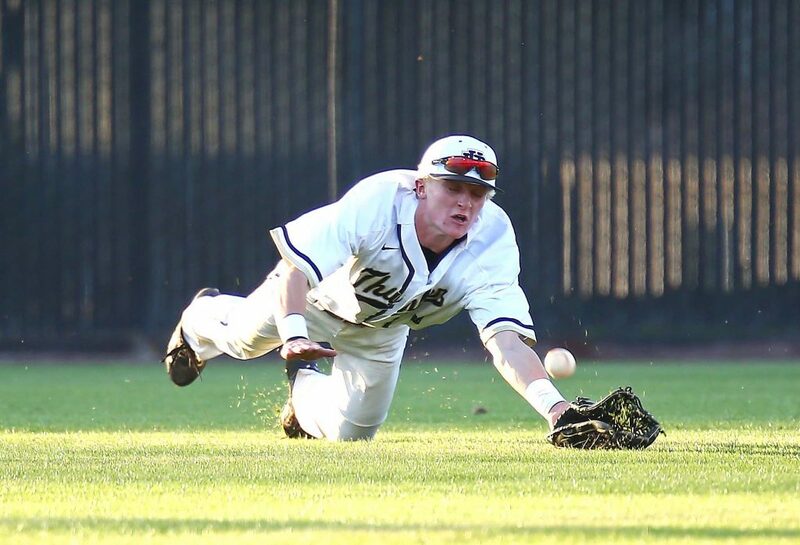 D-Hills, which had five hits in the game, has a region bye next week and will play at Carbon twice (Tuesday and Wednesday) and at Orem on Friday. The Thunder are locked into third place in region and have clinched a playoff spot. 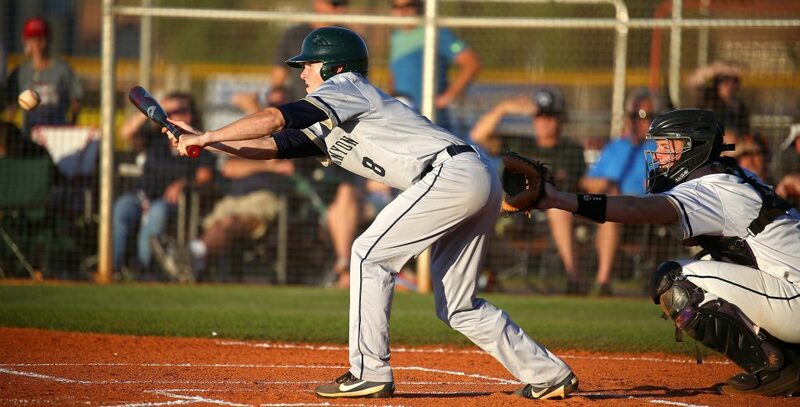 Snow Canyon, 21-2 and 9-1, got doubles from Nowatzke and Cade Guerisoli and a triple from Deming in the game. 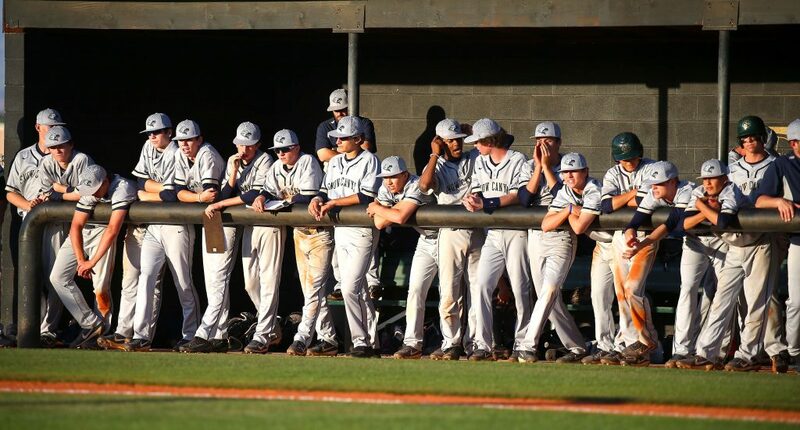 The Warriors now have to sweep first-place Dixie next week in order to win the region championship. The Flyers and Warriors meet Tuesday at Warrior Field and then rematch Friday at Flyer Field. 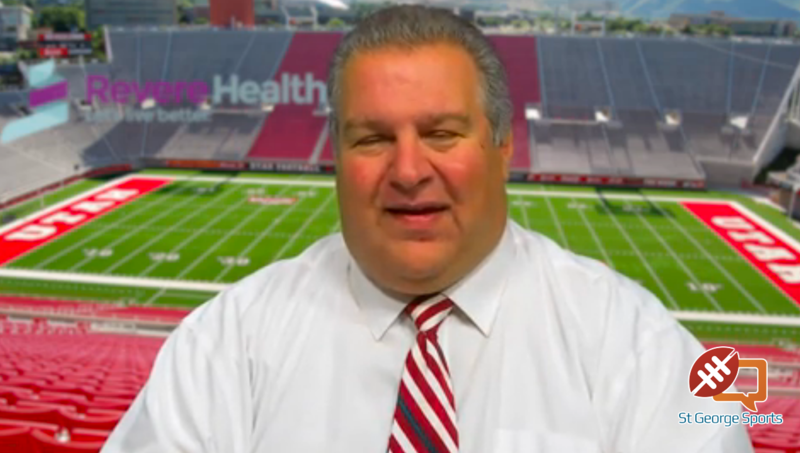 Both games are at 7:30 p.m. and will be on SportsRadio ESPN 97.7 FM. The Flyers won their 11th straight game, outscoring their opponents 99-6 in that impressive stretch. 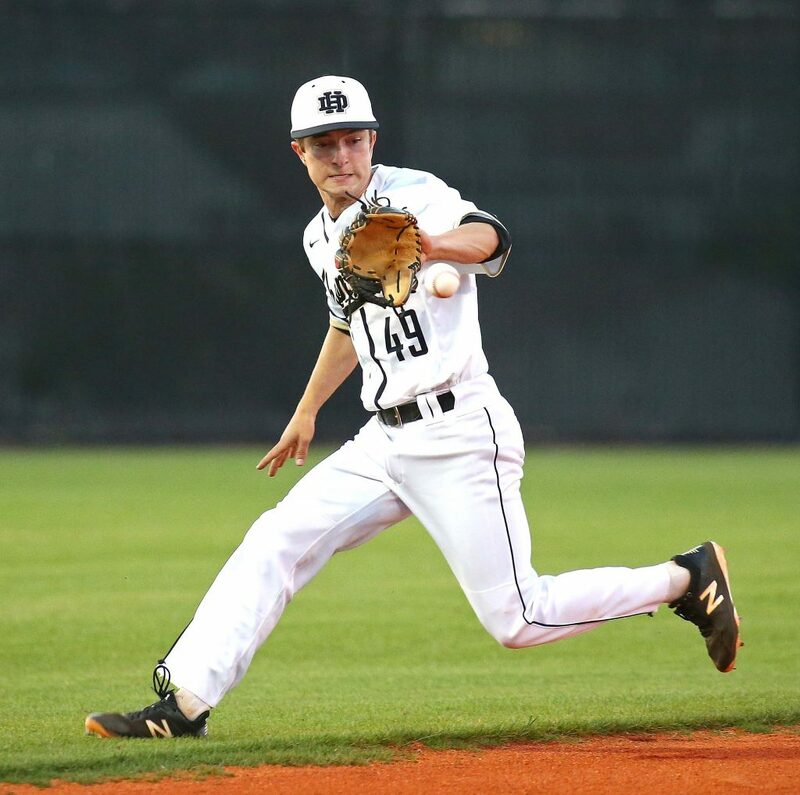 Sophomore Cooper Vest picked up his sixth win on the mound this season, despite giving up a rare run, and Tyson Fisher socked his seventh homer of the year. It was actually a pretty tight game until the sixth inning, when the Flyers finally broke it open. 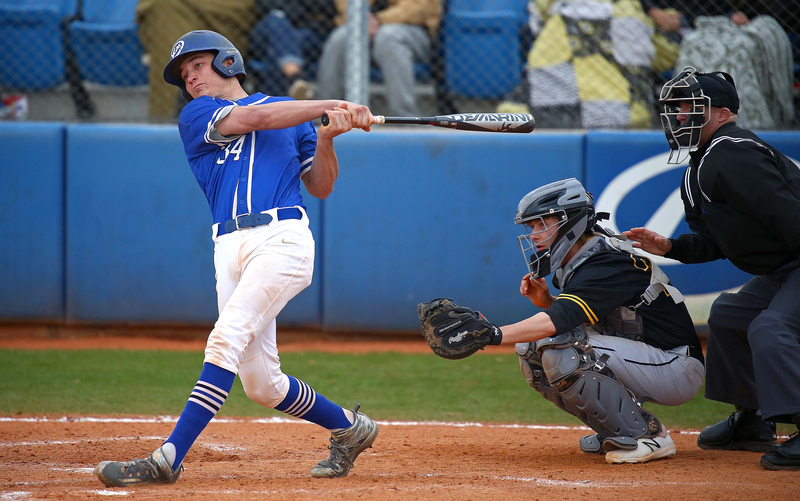 Dixie scored two runs in the top of the first as Fisher singled home Hobbs Nyberg and Tyson Miller scored on an RBI groundout by Chase Lundin. The score stayed 2-0 until the top of the third, when Fisher blasted a two-out homer to left field that pushed the lead to three. 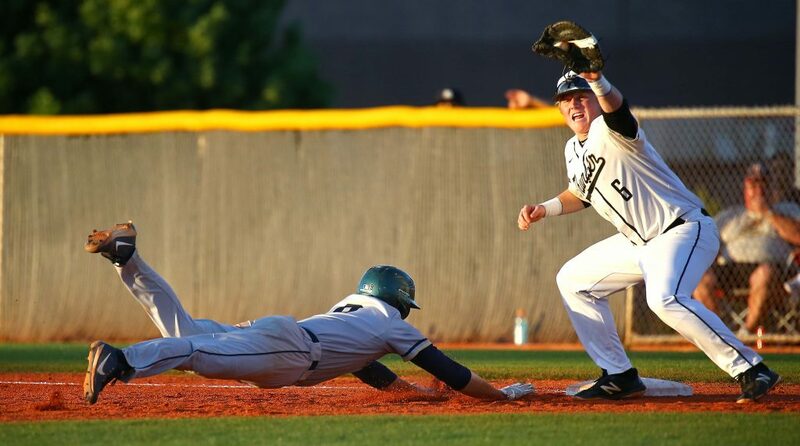 With Vest dealing strikes, Pine View had very few scoring threats most of the game. 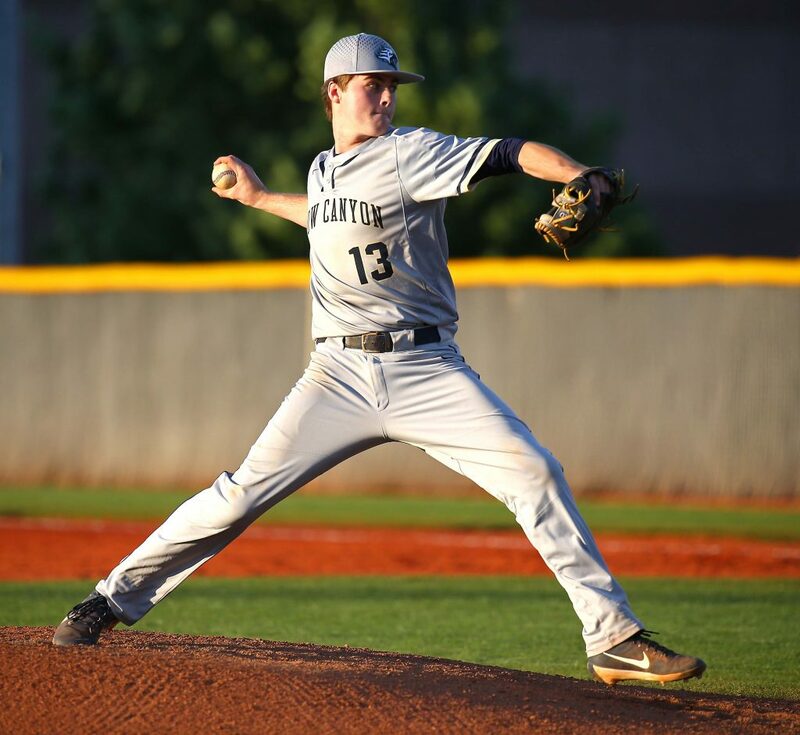 At one point, Vest struck out seven straight Panthers. He finished the game with 12 strikeouts in six innings of work. Cody Riddle kept the Dixie bats fairly quiet most of the game. But Dixie put the game away with a huge rally in the top of the sixth. Kayler Yates led off with a double and a single by Reggie Graff was followed by a walk by Wyatt Woodland that loaded the bases. Nyberg then unloaded them with a rip to right field that ended up being a three-run double and made it 6-0. Consecutive walks by Vest and Fisher then loaded the bases again, and Lundin improved upon his region-leading RBI total by smacking a ball into the gap in left-center that scored two more and made it 8-0. Lundin now has 35 RBIs in 23 games. 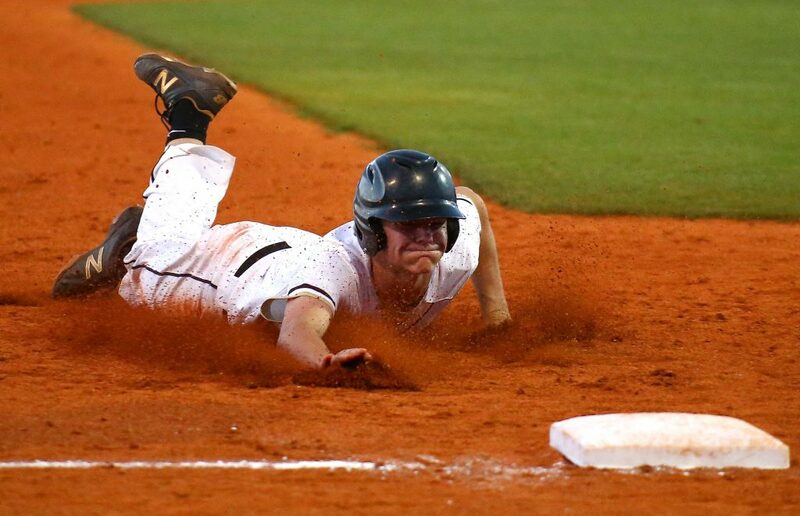 In the bottom of the sixth, Pine View scored its first run of the two-game series. Roman Lafemina and Tanner Staheli each had two-out singles, and Lafemina ended up scoring on a wild pitch by Vest. 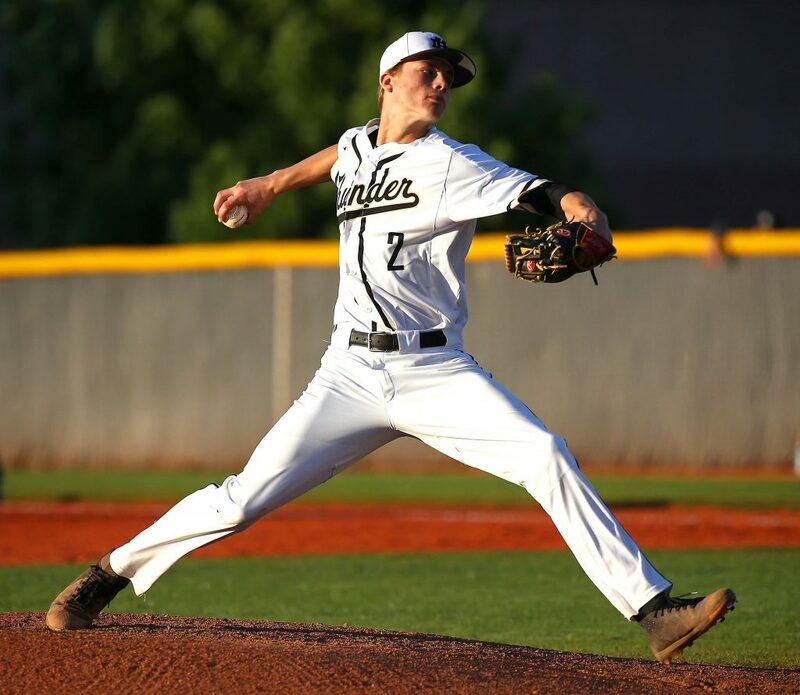 Yates then closed out the game by striking out three batters (with a Pine View single mixed in) in the bottom of the seventh to end the game. 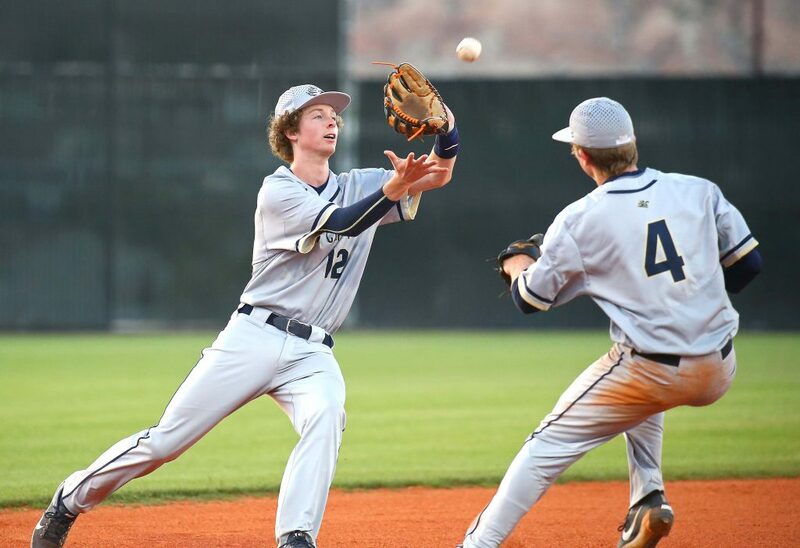 Fisher and Nyberg combined for five of Dixie’s eight hits in the game. Both players also drew walks as the Flyers drew seven bases on balls. Dixie improves to 21-2 overall and 10-0 in region play. 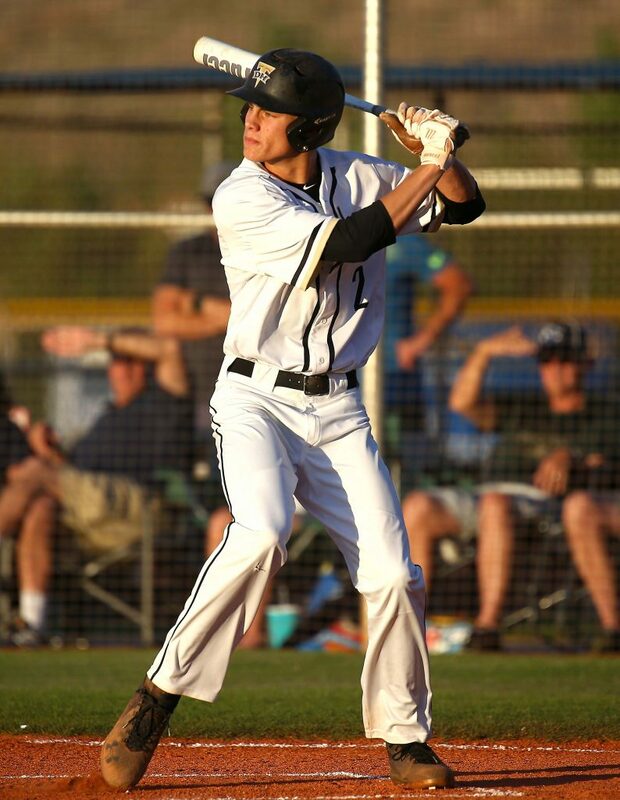 Weston Sampson led Pine View with two hits, including a double. 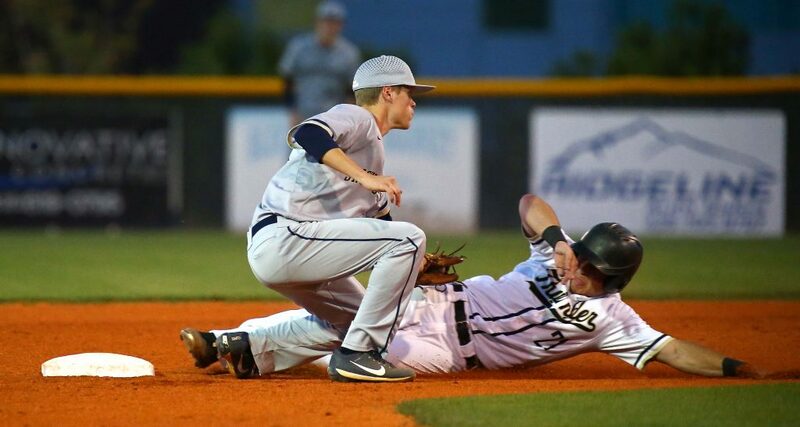 The Panthers had five hits and struck out 15 times, drawing zero walks in the game. With a one-game lead, Dixie needs just a split in next week’s two-game set vs. 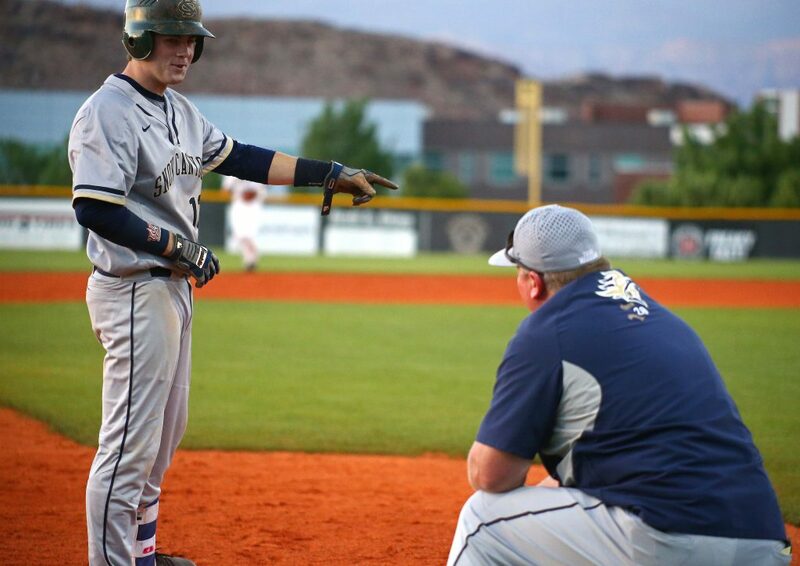 Snow Canyon to win the Region 9 crown. The two teams meet Tuesday night at Warrior Field and Friday night at Flyer Field. Pine View, 11-7 and 4-6, is tied with Cedar for fourth place. 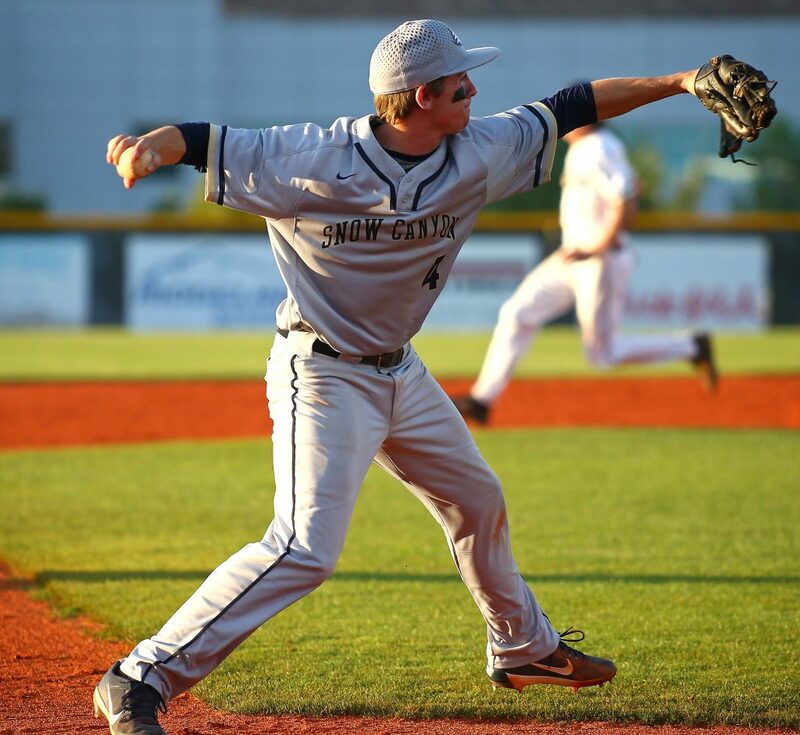 The Panthers play Canyon View twice next week, with Tuesday’s game at Panther Field. 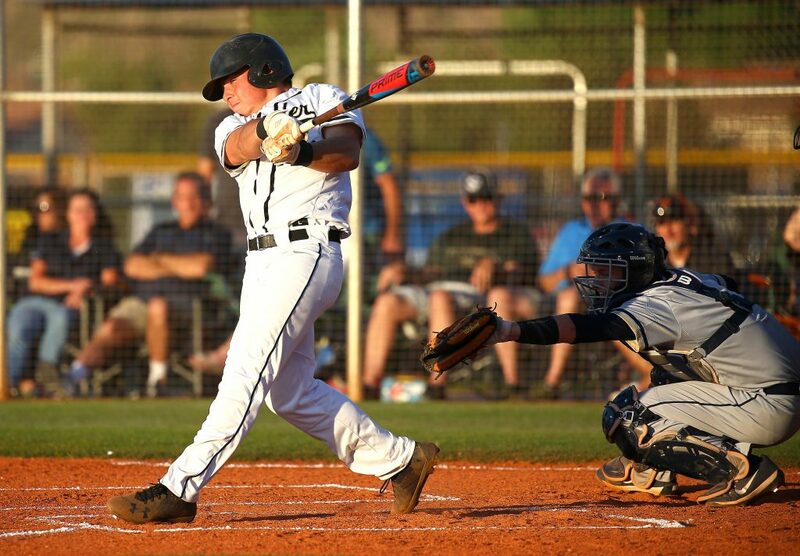 Cedar has a two-game set against Hurricane, with Tuesday’s contest at Tiger Field. If PV and Cedar end up tied, a play-in game on a neutral field would likely break the stalemate. The Falcons raced out to a 6-0 lead and then held on for their second win in a row. Quinn Spevak started the scoring with an RBI single in the top of the first. Josh Macinnis followed with a two-run homer to left field that made it 3-0 before Hurricane had even batted. The lead grew to 6-0 in the top of the third. Macinnis picked up his third RBI of the game with a one-out single to center field. Parker Holmes followed with a double to left that scored Macinnis and made it 5-0. Two batters later, Colten Shumway singled to chase home Holmes and make it 6-0. Falcons starting pitcher Joey Lambeth kept the Tigers off the scoreboard until the fourth. But a Canyon View error opened the door for a two-run single by Michael Martinez that made it 6-2. A Brian Long RBI hit made it 6-3 in the fifth, but the Falcons answered with RBIs by Lambeth and Trace Harden to make it 8-3 in the sixth. The Tigers got RBI hits by Kyle Stevenson and Rylee Kent in the seventh, but could get no closer than the final score. Macinnis and Shumway ended up with three hits each for Canyon View (7-13 and 2-8), which still has an outside shot of forcing a play-in game. The Falcons would have to sweep Pine View next week and hope Hurricane sweeps Cedar to create a three-way tie for fourth place. Hurricane had seven hits in the game, including two by Stevenson. Kent and Cayden Street each doubled for the Tigers, who fall to 7-14 and 0-10 on the year. 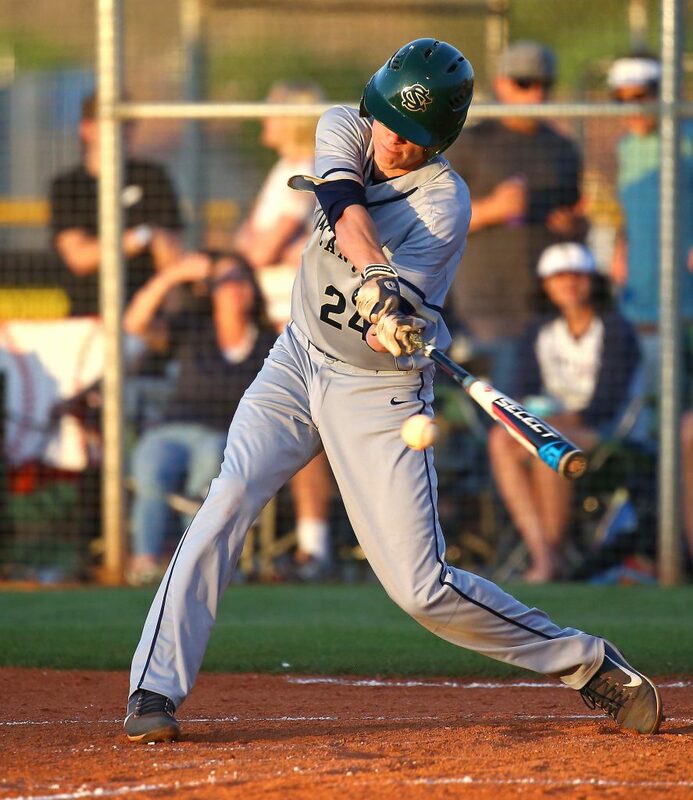 Dixie at Snow Canyon, 7:30 p.m.
Canyon View at Pine View, 7:30 p.m.
Cedar at Hurricane, 7:30 p.m.